In spite of the heat and the storms it has been a good week. As I posted earlier I was able to try out online gaming for the first time with Christian. I wasn't able to participate in Free RPG Day, was out of town, but a good friend picked up an item for me that I really wanted. 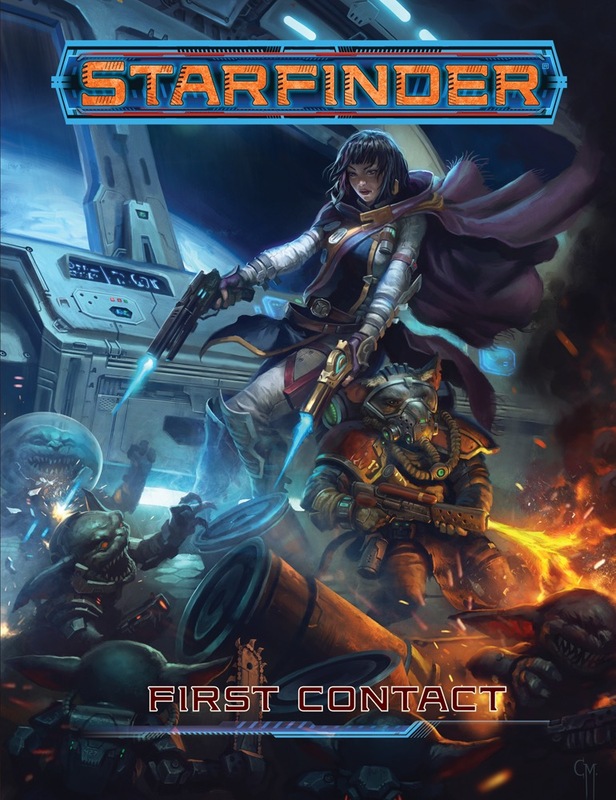 The Starfinder First Contact book. I'm looking forward to giving it a read. I'm blessed to be in a fantastic gaming group. 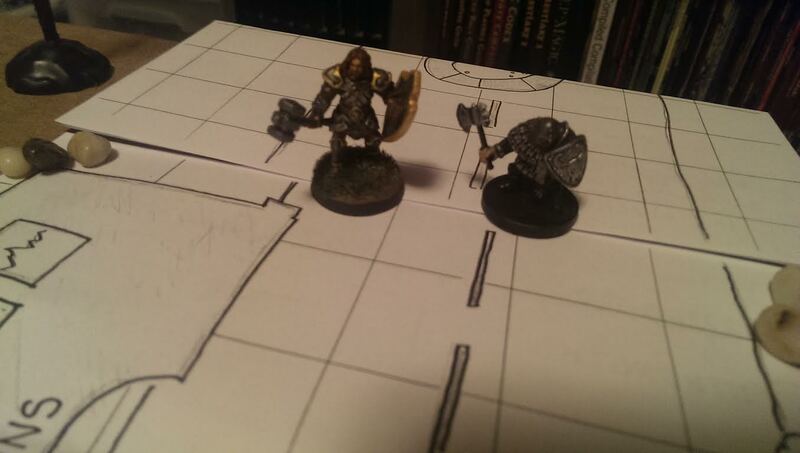 Last night we played another session in our group's Curse of Strahd 5E Campaign. The entire game session was role-playing. No combat, just the players interacting with each other and the different NPC's. 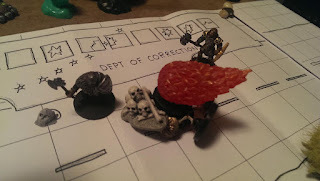 The DM did a great job and the 4 hours just flew by. It wasn't until I was heading home that I realized we didn't have a single fight all night and it was loads of fun. 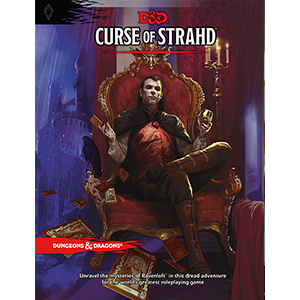 I talked to the group and when we wrap up the Curse of Strahd Campaign (probably late Fall). They'd like me to run Starfinder! I'm excited, the rules aren't even out yet, but I want to give them a spin. What we've heard about the game so far has everyone excited. So I've started working up some ideas for my upcoming Starfinder Campaign. Also this week, I was a kickstarter for the Mutant Crawl Classics RPG. The PDF was released this week to kickstarters, so I've been reading through it in my spare (ha ha) time. It looks really cool, and I'm sure it will be put in the gaming rotation at some point. I got some great books in the mail from my buddy since 8th grade, Tormentor. Somehow he always remembers my Birthday, even though I try to keep it on the down-low. Thanks Tormentor! On a personal note, I got the best gift of all. I don't talk much about my personal life on the blog. Try to keep it about gaming. But felt this was appropriate. My grandson is getting close to 3 years old. He stays with us some of the time. He is developmentally delayed, and undergoing evaluation for autism We have worked hard to find ways to play, talk and interact with him. This week was the first time that he and I had truly interactive play. He was listening to me, following directions and truly playing with me. I'll never forget that smile and the gleam in his eyes when he and I were playing. That first magical moment is something I will treasure forever. Well thanks for letting me share. I hope you all have a fantastic weekend! Get some gaming in this weekend and spend time with friends and family! They are what makes it all worthwhile! I got to play in my first ever online game earlier tonite. 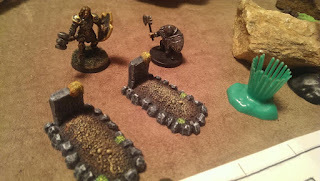 Christian of the Destination Unknown blog encouraged me to play a quick session in his Wasteland of Gath game. I had a fantastic time. I've been corresponding with Christian for awhile now, and it was wonderful to have a "face to face" talk/game session with him. I had worried about the tech issues and my limited abilities with technology but we had no issues during the game. Proper graves and burial rites for the two souls at peace.